The Baltic American Chamber of Commerce (BACC) was delighted to be a partner with the European American Chambers of Commerce in the United States (EACC) in organizing the “Ambassadorial Briefing with the European Permanent Representatives to the United Nations”. 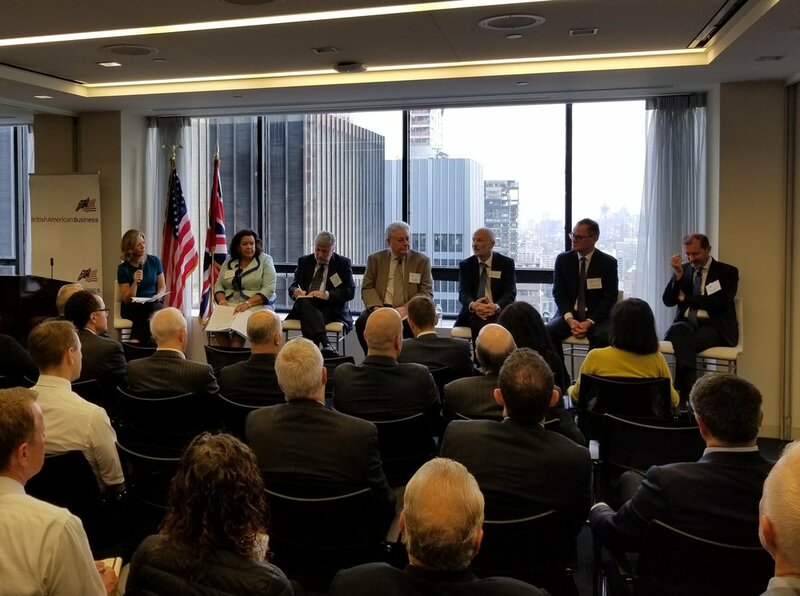 The “Ambassadorial Review” was ran by British American Business and held at the KPMG offices in Manhattan October 2, 2018. An unprecedented number of six Ambassadors took part in the group discussion which was moderated by BBC America Anchor Laura Trevelyan. Joined by his colleagues from Belgium, Luxembourg, Spain, Ukraine and the UK, Estonia's Ambassador to the UN Mr. Sven Jurgenson superbly represented the Baltic viewpoint on global issues and world politics. The topics discussed included: the TransAtlantic relationship, the challenges to the liberal world order, the rise of populism, the state of the EU, Brexit, and the challenges of Russia and China. Over 150 people attended the breakfast event. Ambassadorial Briefing series has been held for seven consecutive years now, and this year was the first time that it gathered such a solid panel of six Ambassadors. The briefing was sponsored by KPMG.